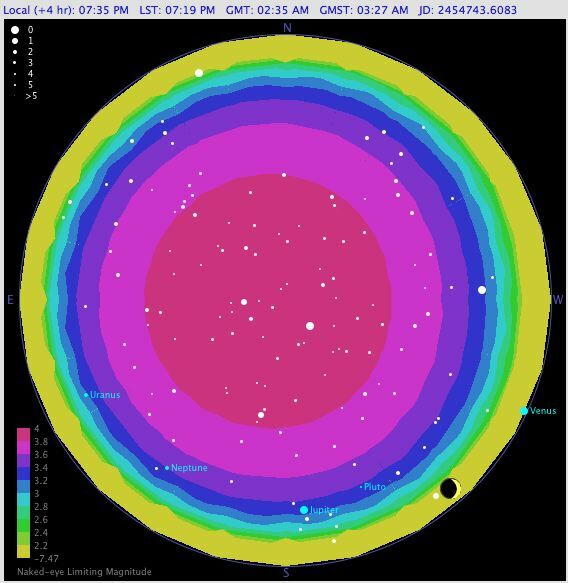 One of the enhancement requests I receive often is to do a better job of modelling visibility of stars, etc. 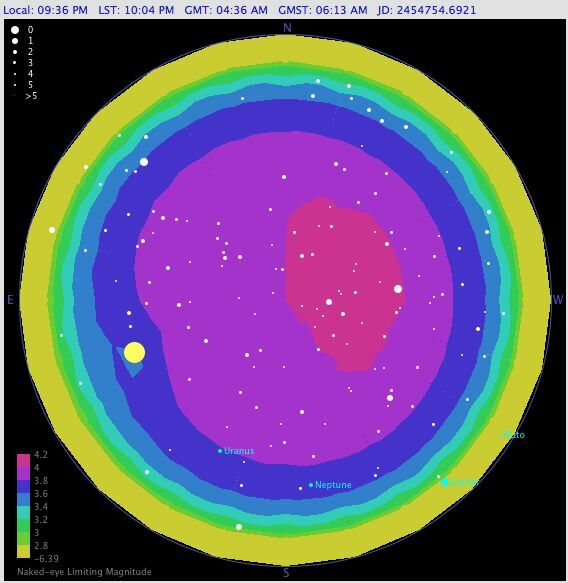 In AstroPlanner V1.x, there was little or no modelling of visibility. 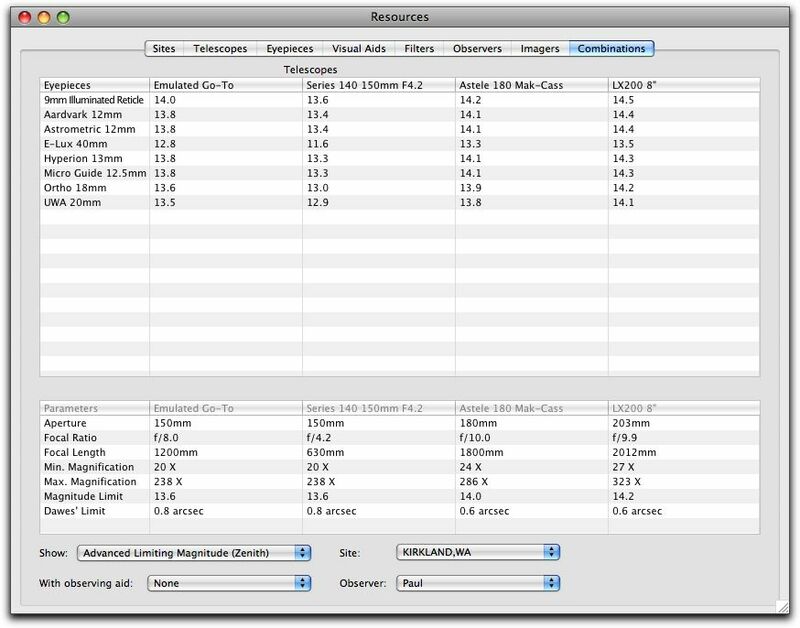 For V2, some more advance algorithms have been added (namely those developed by Bradley E. Schaefer).For starters, in the Resources->Combination window, you can now choose to display “Advanced Limiting Magnitude” for all telescope/eyepiece combinations. 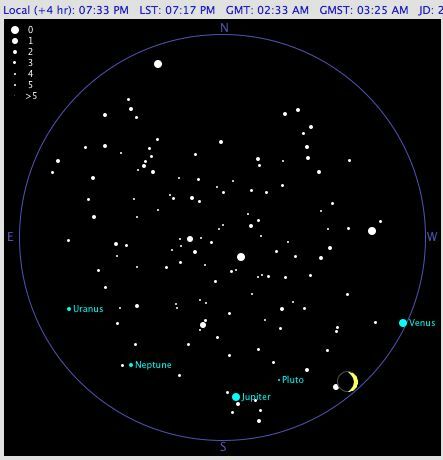 This takes into account not only the telescope, eyepiece and visual aid, but also the site (latitude, altitude), observer (experience, age and eyesight), and date/time to determine the limiting magnitude at the zenith. Well, not so exciting. But wait! There’s more! We’re going to throw in this capability for the FOV too. 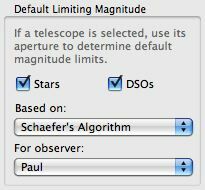 In the FOV preferences you can select Schaefer’s algorithm, and it will automatically determine the limiting magnitude of stars and DSOs shown therein. But wait! Order right now and we’ll also throw in an advanced algorithm (also by Schaefer) for computing the naked-eye limiting magnitude in the Sky chart. 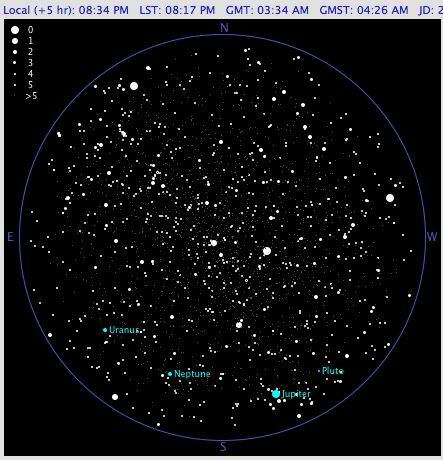 This can be used to determine the stars that can be seen (at the current site) by the specified observer. So before sunset, no stars are typically visible. An hour later, during twilight, brighter stars become visible. An hour after that, and it’s pretty dark, and a lot of stars can be seen. You want to have a better idea of those naked-eye limits? No problem. There’s now an option to display the sky-wide limits using contours (and sky brightness too if you wish). 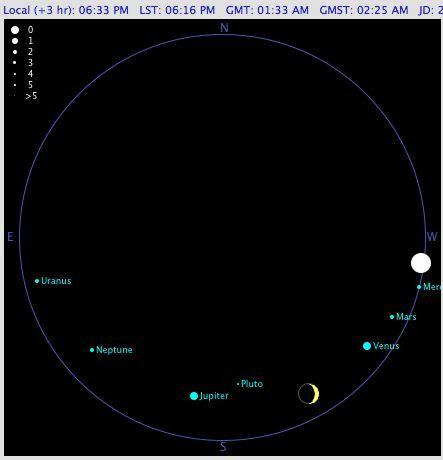 To show how a full moon disturbs the naked-eye limits, here’s a chart for later in the month, with a full moon. You can see that even though it’s pretty dark (i.e. after twilight), the moon affects the naked eye limit, and the best this particular observer can hope for is magnitude 4.2. Posted by admin on Friday, October 3rd, 2008, at 3:03 pm, and filed under Version 2. Very, very cool! Extraordinary, actually! Damn, this software just keeps getting better in ways I couldn’t have imagined! Somebody throw me a towel because I’m drooling myself a puddle here waiting for this version to come out! Is there a capability to connect a mag/arcsec2 reading from a Unihedron SQM-L to totally nail the visibility estimation?